“Wait a minute! 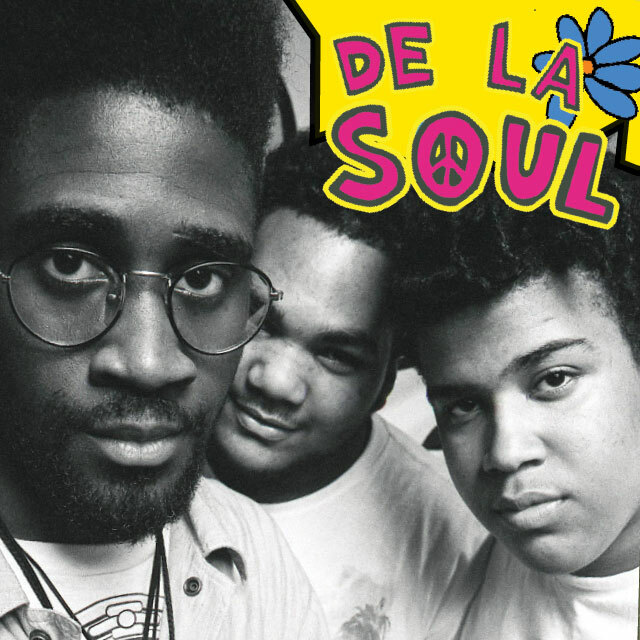 De La Soul are using recycled lyrics and old J Dilla beats for their new mixtape? What the hell! If I wanted old stuff I can listen to ‘3 Feet High’. Where’s the newness?” This is more or less, how those who have no clue of what great Hip Hop is supposed to be about would react to the premise of The Plugs latest outing. 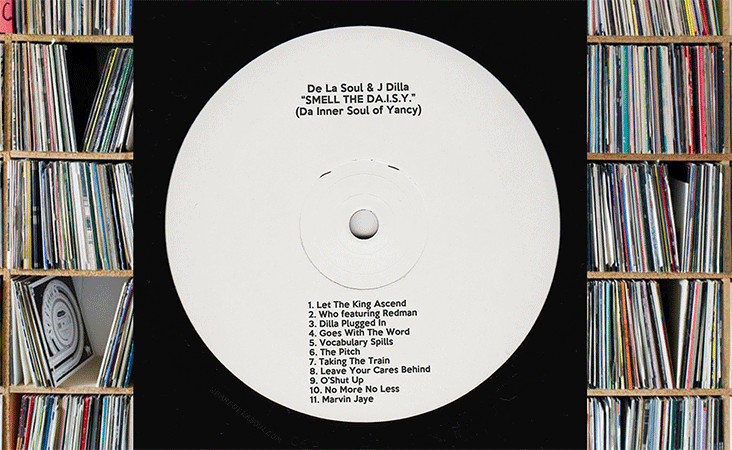 Yes, Smell the Da.i.s.Y (Da inner soul of Yancey) borrows lyrics from ‘The Bizness‘, ‘Potholes in my Lawn’ and ‘Ego Trippin’ amongst others. Yes, they are paired with what are, for the initiated, some recognisable Dilla beats (to some of you who have reviewed this already, do your research). And yes, they may have a point about the very distinct lack of new material from the trio (which if all goes to plan, is about to change). But no, none of that detracts from the fact that this mixtape is Hip Hop in the truest sense. The first thing that is evident is that, in a sense, Posdnuos and Trugoy were ahead of their time. Lyrically they sound as sharp as ever and although they are by and large re-vocaled, some of the reused verses are twenty something years old. Touched up or not, the fact that they are usable at all on songs that are in some cases fifteen years their junior, is almost startling in itself. Theirs is a non confrontational flow. De La were never about ramming ideas or concepts down gullets and the whole project has an air of the “whatevers” about it, which in my view just so happens to be the best way to ride most of James Yancey’s work. Speaking to the man’s beat making, there is an almost heartbeat like trait in its drum patterns that, when coupled with the sharpness of many of Dilla’s kicks, seem to resonate at a deeper level than his peers. It’s one of those attributions that’s hard to pinpoint and I may be hearing something that isn’t there. But listening to ‘Vocabulary Spills‘ or ‘The Pitch‘ for example, with the EQ set just right and the volume turned quite a way up, the affect can definitely be felt. The Plugs have compiled an astute selection. They aren’t all obvious choices but any novice is going to get a very rounded experience of what The man brought to the table, which was always one half of the mixtape’s purpose. ‘Vocabulary Spills’ (which I am convinced I have heard before but can’t seem to place)’ Dilla Plugged In (aka Dynas’ The Apartment) and Who (aka Busta Rhymes’ What Up) are my personal favourites from a high calibre collection. Yet when critiquing projects such as these how is anyone supposed to be… critical? Does paying homage to a Legend mean that they are beyond reproach if you have a sincere opinion of some of their work? Isn’t it insulting the person in question to simply lavish praise for praises sake? Is the fact that I think the instrumental for O’Shut Up is the one average beat among a collection of great ones something, I should feel guilty about? This mixtape is supposed to honour the mans work so should I be appraising it at all? Or would I be dishonouring his work if I didn’t? But does asking any of those questions take away from the fact that every true Hip Hop fan should have this in their collection already? Absolutely not.